This colourful trio is the perfect gift to brighten up anyone's holiday season. Beautifully arranged inside a festive planter, this gift will show that lucky recipient that you are thinking of them this Christmas. Excellent for family, friends, and anyone you want to pamper over the holidays. 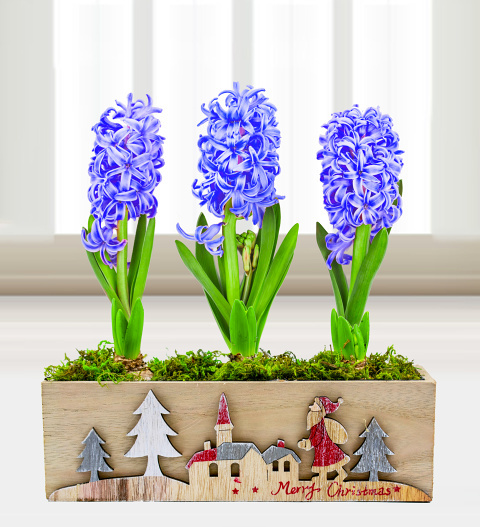 Hyacinths are beautifully fragrant and easy to look after!